A rare white stag was recently filmed in the Scottish Highlands, sailing across the moors like a ghost. In Britain, white stags were once believed to be magical beings. (Similar in many ways to unicorns.) The ancient Celts thought they were messengers from the underworld. In the tales of King Arthur, the Knights of the Round Table were always chasing after the mysterious stags, though even Arthur himself proved unable to capture the prize. 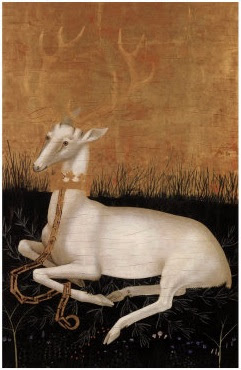 But perhaps the strangest legend to feature a white deer is that of Herne the Hunter. Unfortunately, white stags are a favorite of poachers. The last one spotted in Britain was killed in 2006. So for now, the location of the latest creature will have to remain a well-kept secret. For more information and a video, click here and here. But it would be even cooler if there were more of them.